Born into privilege, Pharaoh’s daughter was nursed on narratives of Egyptian greatness. She grew up among the elite, watching them parade through the palace with their curried favor and entourage of servants. She never lifted a finger and never knew any different. 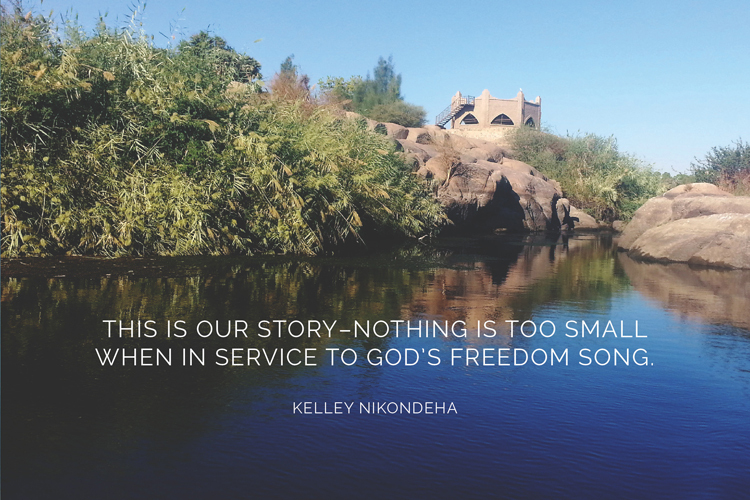 Life was good alongside the Great Nile River, which seemed to wind and bend to her father’s command. She’d often visit the various balconies of his household and observe the slow rise of the mighty pyramids. She marveled at his capacity to construct such a feat of architecture. Everything about her father, from the palace pillars that seemed to hold up the sky to the mountain-shaped monuments emerging from the sands, communicated his massive strength and sweeping significance. When the sun began to descend into the Great River and the world turned burnt orange with threads of pink, Bithiah would walk the shoreline. Sometimes she’d slip off her sandals to feel the warm sand and cool water in turn. While she was privileged, she wasn’t powerful, so she soaked in simple pleasures afforded her on her side of the Nile. Loved how this story brought me in and made me think. You should seriously write this as a novel! I’d like a signed copy when it comes out!